An award-winning author of biographies and books about American history, Leslie Wheeler now writes the Miranda Lewis “living history” mystery series. 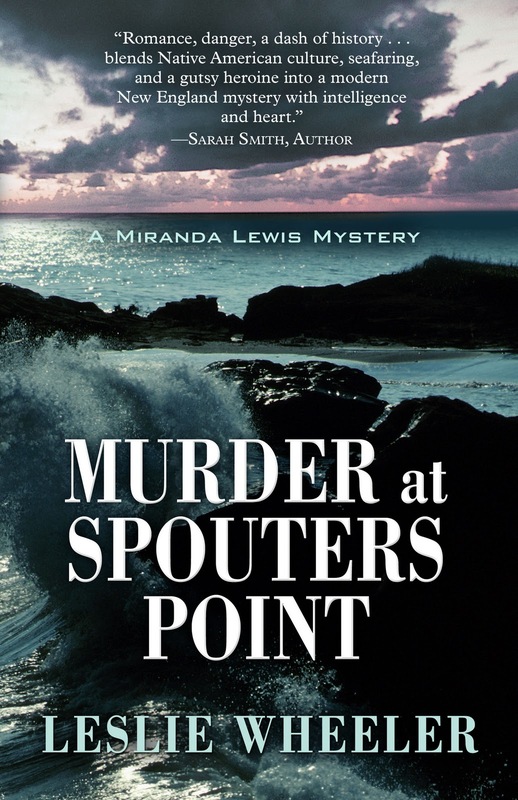 Titles include MURDER AT PLIMOTH PLANTATION, MURDER AT GETTYSBURG, and the recently published, MURDER AT SPOUTERS POINT. Her short crime fiction has appeared in five anthologies published by Level Best Books, including the current anthology, THIN ICE, to which she is now a contributing editor. A member of Mystery Writers of America and Sisters in Crime, Leslie serves as Speakers Bureau Coordinator for the New England Chapter. Visit her website at http://www.lesliewheeler.com. Eat, Dash—Hesitate . . . When did it begin, my love affair with Dash and Ellipsis? Not in college, surely. If I used an ellipsis at all, it would have been within quoted material to show that certain parts of the quotation had been omitted. And I don’t recall any dashes in those carefully written, carefully punctuated college and graduate school essays of yore. As I glance at my later non-fiction writing, which includes JIMMY WHO?, a popular biography of former President Jimmy Carter, written during the 1976 campaign, and LOVING WARRIORS, a more scholarly biography in letters of the nineteenth-century feminist and abolitionist, Lucy Stone, I note the occasional dash, but not in the quantity that would eventually appear in my fiction. My first fiction was a long, unpublished historical novel. A look at a chapter from that novel, which was published as a short story, shows a growing number of dashes as the story progresses—one in the first paragraph, two in second, and so on. But it wasn’t until I began to write mystery fiction that I adopted a truly colloquial style—replete with dashes and ellipses. Why? They just seemed to appear on the page—the way characters sometimes do without warning. I even think of Dash and Ellipsis as characters. Dash, after all, is short for Dashiell, a name made famous by the mystery author, Dashiell Hammett. In the baby name book from the 1980s, BEYOND JENNIFER AND JASON, Dashiell shows up on a list of new manly names that, according to the authors, “bespeak a transformed masculine ideal—sensitized, enlightened, liberated from the manacles of machismo.” But this doesn’t describe my Dash. No: He’s tall, handsome and—dashing. He’s also impatient, interrupts frequently, departs abruptly and returns unexpectedly. Dash is bold, strong, and sure of himself. And Ellipsis? She’s just the opposite: shy and well . 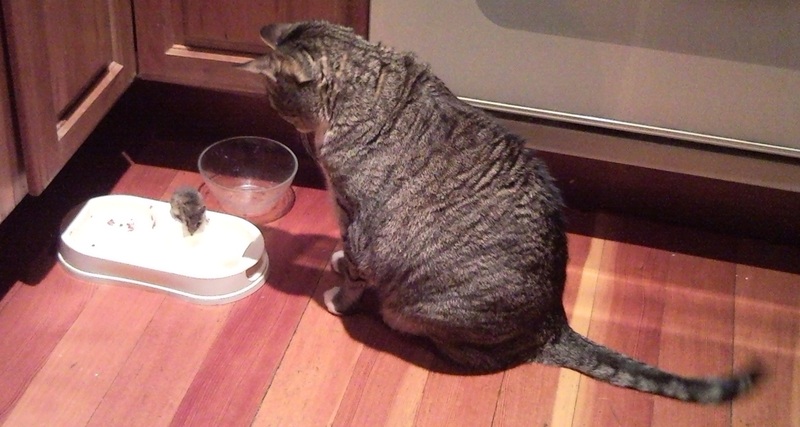 . . hesitant. Because of her name, I picture her as a figure out of Greek mythology, a mortal whose beauty attracts one of the many lascivious male gods like Zeus or Apollo. He pursues, she flees, and is about to be overtaken and ravished when a sympathetic Diana whisks her into the ether, leaving behind a series of small, rounded, evenly spaced footprints. Dash and Ellipsis figure prominently in my first mystery novel, MURDER AT PLIMOTH PLANTATION. My editor for that book didn’t raise an eyebrow at their abundance, but she did insist they be done correctly. No weak, half-hearted double hyphens for him, but the long, unbroken line of a true Dash. My galleys were red-penciled with 1/m marks lest the printer mistake my shorter, broken lines for the real thing. Red pencil marks also revealed Ellipsis in her full glory as a series of spaced periods, instead of the scrunched-together dots I’d been doing. I use Dash and Ellipsis most often in writing dialogue to show how people really speak with all the interruptions, sudden halts, pauses, and trailing-offs. 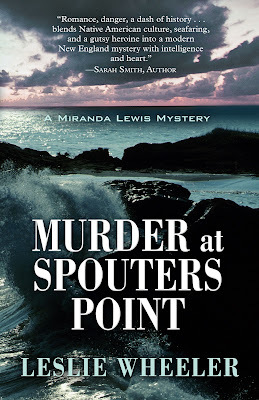 By my third mystery, MURDER AT SPOUTERS POINT, I’d become so enamored of Dash and Ellipsis that I could barely write a paragraph without using several of my darlings. My editor decided I’d gone too far. “You really don’t need all the dashes,” she wrote on the manuscript. And so, reluctantly, I changed some to commas. But those sentences seemed weak and emasculated without Dash’s force and energy. At my editor’s suggestion, I also eliminated some of my Ellipses, but again, I wasn’t happy with the result. Instead of fading away with gradual grace, those sentences had a clipped, brusque feel. Oh well . . . 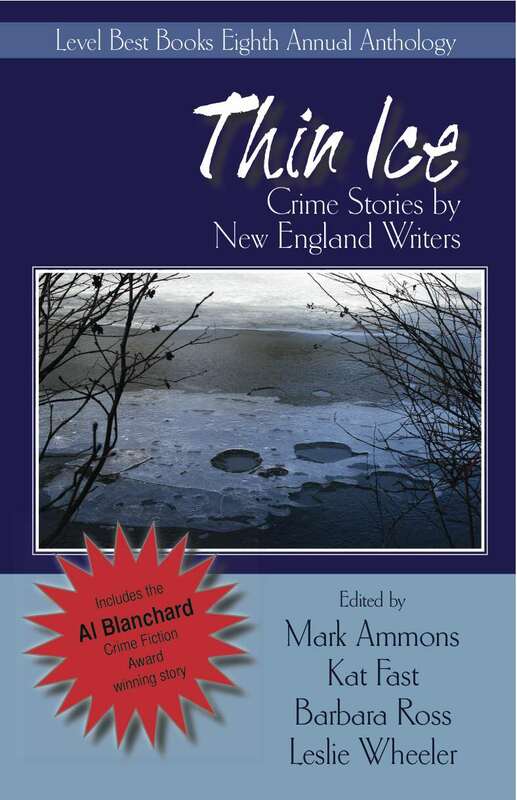 Although I caved in a bit on that book, I remained a fierce champion of Dash and Ellipsis in THIN ICE, Level Best Books’ eighth anthology of short crime fiction by New England authors, to which I recently became a contributing editor. The Dashes and Ellipses I fought for didn’t just appear in my own story, but in the stories of twenty-four other authors. And I insisted that they be done right. Now I was the one wielding the red pencil and fixing every Dash that looked like a hyphen, every Ellipsis that wasn’t properly spaced—much to the dismay of the co-editor who was handling the production end of the book. She even began referring to the correct way of indicating an ellipsis as “Leslie’s preferred method.” Another co-editor spoke openly in a half-joking, half-serious manner about battles over ellipses that nearly led to blows. But if you care about someone or something as much as I do Dash and Ellipsis, you have to stand up for them, right? I am so with you! I think that Dash and Ellipsis convey the pace of dialog in a way that Comma and Period alone just can't manage. I'm not a writer --- but I find myself using Dash and Ellipsis quite often in comments and on Facebook. Interesting. . . Thanks so much for the post. I'm putting these books on my wish list. Even though I moved to FL, New England still has a strong grasp of my heart. It's still "home". Leslie, I'm so glad someone else has such fondness for Dash and Ellipsis. I'm in good company. I love your enthusiasm for the dash and ellipsis, Leslie. For me, all punctuation is often like a closet full of hobgoblins waiting to jump out at me, hollering at what a dolt I am.... It's been a long time since punctuation made me--SMILE! Thanks for your comments, Elizabeth, Vicki, Patty, and Coco. It's great to know that Dash and Ellipsis have fans like you. Maybe we should form a club . . .
Kaye, I'm glad to hear that New England still feels like home to you even though you now live in Florida. Although I grew up in Southern California, I consider New England home, too, though the sight of a palm tree in a post card can make me wax nostalgic--especially after the recent snowstorm here! So glad my post about punctuation made you smile. Had no idea you thought of p-marks as hobgoblins in a closet waiting to jump out. Great image, BTW! I think I used to worry about commas, because my English professor husband always questioned my use of them. But I solved that problem by refusing to let him read my work until it was published--and could NOT be changed! Thanks for your comment, B.D. Good to know you, too, appreciate Dash and Ellipsis. Leslie, this is an utterly delightful essay--and obviously well thought out--not "dashed off" at all! And so very relevant. Just recently my editor reprimanded me (politely, of course) for my passionate use of dashes. Reluctantly, I eliminated a few. But look at Emily Dickinson! Her brilliant poems teem with dashes. So don't give up. Hold on to those dashing dashes and ethereal ellipses..."the pause that refreshes." Brava! Dash and Ellipsis...sounds like a crime-solving duo. I have to curb my love of exclamation points, since I don't want to sound like a tween-age girl at a Justin Bieber concert. Thanks for your thoughtful comment, Nancy. As you guessed this essay has been simmering in my brain for some time. Good to know that you've had your run-ins with your editor over Dash, also that Emily Dickinson used "him" profusely in her poetry. I'll have to use that fact in my defense when I'm called on this again. Never say die! "Dash" is also an expression of frustration, especially in the UK and eastern Canada, for example —“Dash! I forgot how to use Word to create an ellipsis." Dash and Ellipsis as a crime-solving duo . . . Hmmm--I love the idea! But like you I have to watch it with exclamation points. Am not usually tempted to overuse them in my short stories and novels, but e-mails and letters are another story! Good post...clever! As an English teacher for many years, I enjoyed teaching grammar and saw the value in it--especially after dealing with student essays. Well, I use both ... but I find that my editors have to tinker with these marks--Dash and Ellipsis--because in e-books, they have to be formatted a certain way, and not always the way the grammar books--which have, of course, been around a while and are targeted to print media--tell you to do them! And if your book is coming out both ways, what to do? Thanks for sharing the info re Dash in UK/Eastern Canada speak--in such a clever way, too! Thanks for your comment, Jacqueline. diagram sentences in my head--which some people think is pretty weird! (shudder! 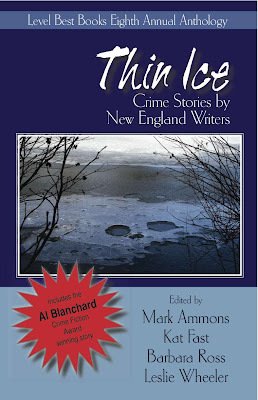 ), though as my co-editors and I at Level Best Books contemplate an e-book version of our next anthology of short crime fiction by New England authors. Good post. I'm especially fond of dashes. I can put in a dash and add a connected thought that fills out a sentence as cheese and tomato bulks up a sandwich. I've started to despise commas as weak, fussy things and I hesitate to use them even when the meaning requires it. Thanks for your comment, Pauline. Glad to hear that Dash has another fan. Also, you do well to point out "his" role in allowing a writer to add a connected thought that fills out a sentence. Agree with you about commas being "weak and fussy," though like you I still use them. Excellent tribute to Dash and Ellipsis, Leslie. I've always used them for their functionality, but will do so with affection now that you've personified them. Well done. Leslie, I absolutely loved your comments on the wonderful dash and ellipsis. I have fought for the use of these wonderful punctuations, sometimes winning--sometimes losing, but they always remain with me and I won't give up on the battle. Dialog needs them!! I also enjoyed your description of the dash and ellipsis--wonderful! Earl, Thanks for your comment. Glad to hear you will now use Dash and Ellipsis with affection as well as for functionality! Betty, thanks for your comment. It's good to know that you are a fighter for Dash and Ellipsis as I am. Honestly, I'm beginning to think we should form a club, proclaim National Dash and Ellipsis Day . . . I'm with you, Leslie. Dash and Ellipsis add power to writing. I once had an editor tell me "only one per book". To me, it felt as though my writing had been emasculated. Dulled down, so to speak. But what could I do? The publishers and editors hold all the cards. book--that's outrageous! No wonder you felt your writing had been emasculated. As for editors and publishers holding all the cards-- not if we form an organization of Dash and Ellipsis users and assert our rights! Thanks so much for having me as a guest on your blog. Feel like we've had a great discussion about Dash and Ellipsis, and it's been wonderful to know that other writers feel as I do about them. Leslie - you brought a topic to the table that everyone has enjoyed chiming in on. I love when this happens. Thanks, everyone, for stopping by, and thanks Leslie - I hope you'll come again. So glad this has been one of your all-time favorite posts. Of all my guest blogs, this is my personal favorite. And I'm delighted that it fanned your already existing passion for Ellipsis into flame! Thanks again, Kaye, for having me. I would love to come back, so if you have an empty slot in next year's schedule, please pencil me in. I don't think one can write dialogue for certain characters without using Dash and Ellipsis (Note proper use of "one" and spelling of "dialogue"--deliberate sops to the grammar & punctuation police.) I do recall tracking down an early work by an author known for her sprightly dialogue and slogging through one ellipsis-laden page after another. Not one character could complete a thought... So, yes, it can be overdone. One of my favorite Autoformat features is the one that turns double hyphens into a handsome Dash. I'll have to make sure it's creating lovely Ellipses, too. Thanks for your comment, including proper use of "one" and "dialogue." One cannot be too careful when it comes to the grammar police. And yes, Ellipsis, poor thing! can be overused. Characters as well as people in real life ought to be able to finish their thoughts occasionally. You'll have to tell me (off-blog) where this autoformat feature is that turns double hyphens into dashes, because at the moment, I use insert and simply pick the dash symbols. As for Ellipsis, I simply type out the three spaced periods, but if there's an easier way, I would love to know it! What a fun read! I especially like your personified descriptions of Dash and Ellipsis--a romantic tinge there. Also got a huge kick out of your solution [in the post to Nancy] to the problem of your English professor husband's criticism of your use of commas--refusing to let him read your writing until it was published! You wrote a creative piece for this blog. Thanks for your comment, and welcome back from camping in Big Sur! I had fun writing the personifications of Dash and Ellipsis, and yes, not allowing my English prof husband read my writing until it was published was the best way to handle his criticism of my use of commas. Confess, though, that I continued to read, at his request, his writing, pre-publication, and helped to untangle the long, convoluted sentences that stemmed from his academic background, and also from German having been his first language.